For three generations, the American made products of Dacor have been innovating the luxury kitchen appliance market. Some of their industry firsts include the Self Cleaning Built-in Wall Oven, a cooktop with continuous grates, and a professional range with sealed burners. Some of their awards have been the Good Design Award and the Gold Adex. Above all, Dacor’s mission is to maintain their high design standards and goals. They have a green commitment and want people to be proud of sharing their homes with Dacor products as well as sharing the planet with Dacor. All of their products are energy efficient and committed to the environment. 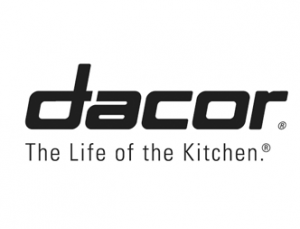 Although Dacor produces top of the line appliances, they will need repairs or maintenance every couple of years. Warranties may even expire long before repairs need to be made. The self-cleaning function in Dacor ovens may stop working and the knobs on Dacor stoves could crack and require replacement. Fast Appliance Repair will make repairs on Dacor fridges, stoves, ovens, cooktops, dryers, dishwashers, and washers in residential or commercial spaces.